Case Photography takes a very modern and natural-light approach to capturing your day. We know that your wedding is one of the most important days of your life and it should be remembered with style! We use wireless lighting equipment when necessary but we always prefer utilizing ambient light to provide a more natural type of photography! We believe that if there are no emotions being expressed, then it is only a picture. A true photograph must capture something much deeper; it must capture what you were feeling at the exact time the shutter was clicked! We use many techniques and methods to bring out the feelings of each and every Bride & Groom! We love meeting with new clients and becoming a part of their stories. It is always interesting listening to brides tell us their unique ideas while explaining to them how we can help make their day special. We love taking a bride's photography ideas and adding our unique touch which allows her to get the photos of her dreams while receiving the Case Photography experience! We realize that so much goes on during a wedding, it can be easy for some of the small things to get missed. 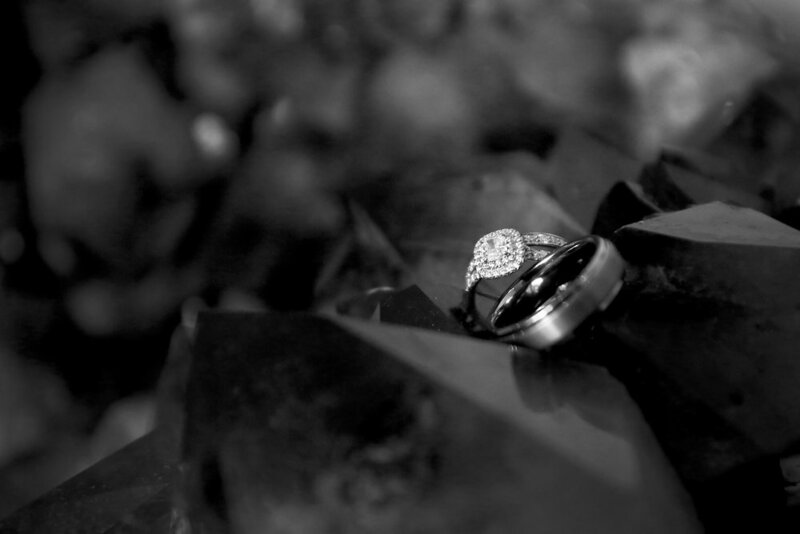 We take special time to capture all of the finest details of your day. We like to capture the rings, jewelry, dress, shoes, table decor, etc. so you can enjoy these details for a lifetime!